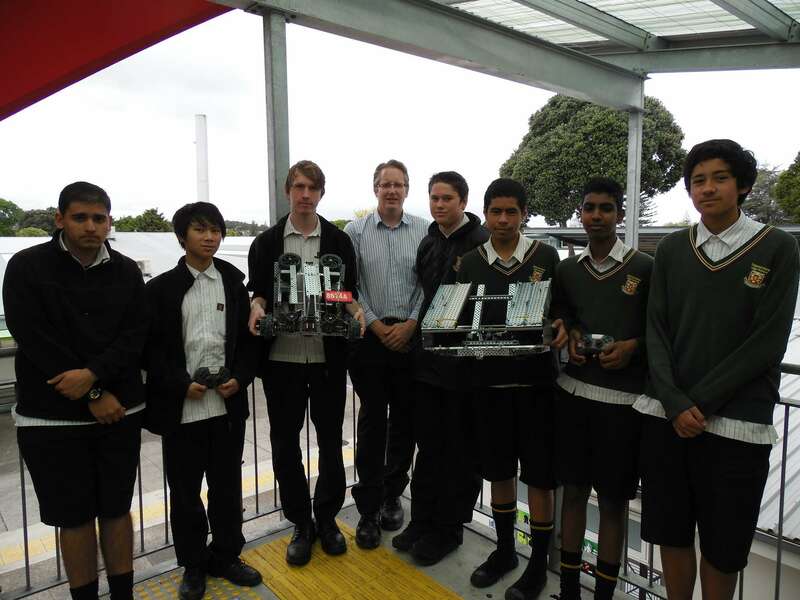 Our Robotics students are pumped after rolling the world champions at a recent competition involving 40 teams across Auckland. The students are now on their way to selection for the national finals, and ultimately the chance to compete in the international VEX Robotics Competition, the world's biggest and fastest-growing robotics competition, with 33 countries and 1000-plus teams taking part. The current world champion is Lynfield College, in west Auckland, and our team beat them in the quarter final. They went on to reach the final, losing to Glenfield College. But making the final means the students have a great chance of being selected for the nationals. The aim of the competition is to inspire a passion for science and technology, by having teams develop robots to the best of their ability and then have those robots tested in a competitive setting. “It’s interesting because all the teams are given the same problem but they respond with different types of robotic solutions. It’s a test of creativity and technical capability. We also get the chance to refine and improve the design over the course of the event, and in different competitions,” Braden says. For most of the event, one team will be randomly matched with another to form an alliance for a single match. On average, there are six matches in a qualification round before quarter and semi finals. The finalists get to choose their own alliance team, which led to two teams from Manurewa High School forming an alliance for the final. “We knew what each other was capable of, which helped us do so well,” says Braden. Robotics is an up-and-coming subject all over the world, and has recently been introduced at MHS, under the guidance of teacher John Flynn.